October 31, 2011 (Wortham, Texas) – Online registration will remain open until Wednesday, November 2nd (8pm) for the 9th Annual Motorex Oils AMA Texas State Championship hosted at Freestone Raceway on November 5th-6th. 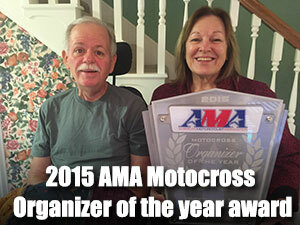 This recognized AMA event is a winner-take-all 2 moto format and does not require qualifiers. 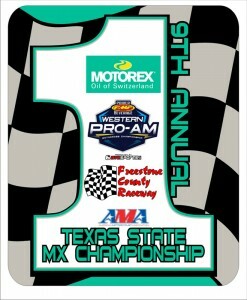 The State Championship weekend will start on Saturday with all youth and beginner class champions being crowned. Then on Sunday, all the amateur Novice, Intermediate, Open, Pro-Am and eleven (11) Vet classes hit the Freestone National track. Sunday willl also bring Round 2 of the Western Pro-Am. 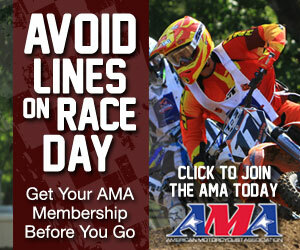 Every call of every moto of every class will be broadcasted live through Freestone’s web site. For iPhone users, download the Freestone MX App to listen while you are on the go. All minors attending this event without parents must come with a notarized statement from parents or legal guardian giving permission for another adult to act as guardian to sign releases. See website for example under Minors Consent Tab. 1. Online Sign Up is open from Monday, October 17th through Wednesday, November 2, 2011 (8:00pm). 2. Online Pre-Registration gives you the option to pay by Visa, MasterCard, Discover and American Express. 3. Registration (race weekend) accepts Visa, MasterCard, Discover and American Express or cash only. No checks. 4. To “finalize” ALL race entries, Pre-Entry riders (to include parent/guardian if rider is a minor) MUST check in at Registration (Scoring Tower) to sign releases. 6. Riders MUST bring last 4 digits of VIN of every bike competing on when registering. * $20 Weekend Pass per person payable in full upon entering Friday and Saturday. If you are not staying for Sunday’s race wristband & gate receipt required for gate refund at the front gate upon leaving. You must exit Saturday to receive a refund. Must hold a valid drivers license to drive Golf Karts or Utility Vehicles. No Pit Bikes or ATV’s allowed. Golf Carts – MUST have Valid Drivers License (DL) to operate vehicle. Side x Side – MUST have Valid DL to operate vehicle. All Permitted Pit Vehicles must be parked for the night after 10:00pm. Walk Bike Policy: Must walk bikes from Pit Area to Staging and Staging Area to Pits. This is a recognized AMA Sanctioned Event. Pro/Expert Purse paid for Overall finish positions. No Trophies to Pro or Expert Classes. 2 Moto Format (Divisions if necessary). 40+ A/B is a Trophy only class. From I-45, Exit #213. Go West 6 miles and look for CR995. Follow the MX signs. Freestone County Raceway was established in 2000 and is located on the 1150 acre Miller ranch. 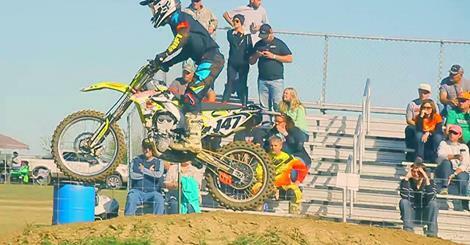 Freestone is home to Round 2 of the Lucas Oil AMA Pro Motocross Championship. 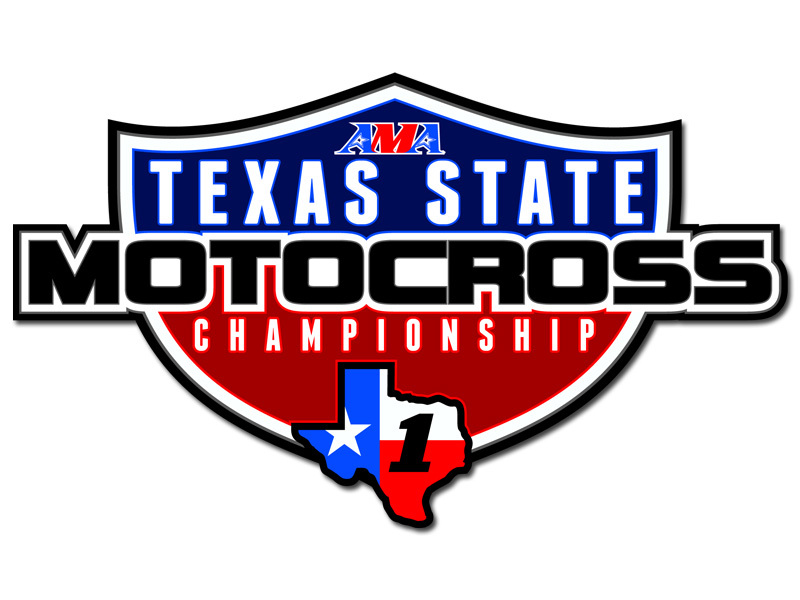 Freestone also promotes the largest amateur series in Texas (Texas Winter Series) and boasted the brightest lighting of any motocross track in the country. For more information, visit www.freestonemx.com.